Unlock the Highest Value and Sales Potential Out of Your Home! For those wanting to sell their home, I want to ensure that you get the highest realistic return on your home investment. I do this a number of ways: by providing fair evaluations based on the local real estate market conditions, by presenting your home professionally and by doing innovative marketing through a variety of platforms. I market your home through the highest visibility real estate websites available, through social media advertising, via my extensive network of industry contacts and much more. I know that getting your home ready for sale takes a lot of hard work. My job is to present it and create the wow factor. Not only will you get more showings in-town, but out-of-town buyers will get a clear picture of how great your home is from their smartphone, tablet or home computer. I’m a top producer in the Comox Valley and I am exposed to many homes through buyers and sellers every single day. Understanding the market is key to helping people sell their homes and I work diligently to have my finger on the pulse of the current Comox Valley real estate market. Talk to me to find out what kind of market exists; Balanced, Buyer’s or Seller’s. The current market conditions will determine the price range you should ask for your home. I will provide you with a FREE competitive market evaluation, an indicator of what today’s buyers are willing to pay for a home, and work with you to determine the perfect listing price. The single most important decision you will make is determining the right asking price for your property! For a FREE competitive market evaluation, give me a call! Market Your Property the Right Way! Digital marketing through the highest visited real estate websites; listings also included on Royal LePage and TinaVincent.ca websites. Via my social media channels on Facebook, Twitter and Instagram. I know you put a lot of work into making your home presentable, I use I-guide 3D tours and professional floor plans, the best ways to showcase your home! Bi-weekly Royal Lepage newspaper inserts. Professional photography to show off the best look of your home. With some homes, we take drone footage and professionally produce a video of your home. To learn more about how we can market your home, contact me today! 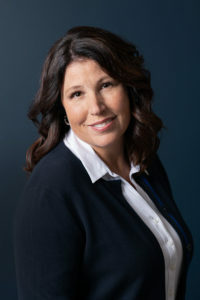 I am well-connected in the Comox Valley and have an extensive buyers list as well as a large network of realtors with buyers that may be looking for a home, just like the one you’re selling! First impressions are lasting impressions so be prepared to de-clutter your home! I have extensive experience in home renovations and interior design which means I know how to make your home show-worthy. Never underestimate the value of a clean, clutter-free home when you’re ready to list. Getting the highest price for your home is the ultimate goal, but that doesn’t necessarily mean listing your house at the highest price. Remember, a realistic, market-based approach will generate more interest early on and potentially multiple offers. Have your paperwork ready when your home is listed; this can include mortgage verification, survey certificates, hydro bills, property tax receipts, title searches and more. Having your paperwork ready will speed up the process and come in handy when an offer is presented. I monitor the current Comox Valley’s real estate market conditions daily so contact me today for my thoughts on the market and setting up an obligation free, competitive market evaluation. CONTACT TINA TO GET SELLING TODAY! Learn about the new rules introduced in June 2018 enhance consumer protection. Read about the latest news, trends and tips in the real estate industry. Sign up today for an obligation-free competitive market evaluation. My husband and I have had the good fortune to work with Tina Vincent in both selling and buying a home as well as being involved in helping our daughter do the same. I would absolutely recommend her to anyone looking for a realtor who listens to what your looking for, who’s honest – gives you the straight facts and lets you make the decisions without being pushy. She worked hard for us and kept us in the loop at all times! Tina nailed our potential buyers profile from the very start. Her marketing strategy and suggested pricing were on point. The attention to detail and streamlined staging suggestions that were given, helped show our property at its best, and as a result our property sold within 10 days. Thank you for your professionalism, kindness and patience in dealing with our particular brand “newbie crazy” as first time sellers. We work with the best local professionals available to assist you with your Comox Valley real estate transaction. To find out who we recommend, contact us today!